You may not realize it, but your lawn is very important to you. Our lawns are home to picnics, baseball games, parties, and – perhaps most important – our gardens. However, maybe our lawns don’t get all the attention to their differences that they deserve. 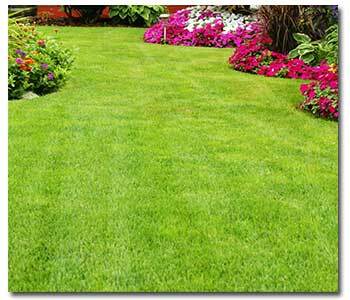 Selecting the proper type of grass for your areas is important. Grasses that are planted in areas that they are not adapted for will require more maintenance and care. Cultivars are being developed on a continuous basis, thus improving the way turfgrass performs. Speak with a garden professional to find out which varieties are well suited for your area and which are more drought tolerant. Bentgrass – colonial and creeping. Colonial is adapted best to the far Northern coastal region and used for general lawn areas. Grows best in cooler, humid weather. Tolerates some shade and has low tolerance for heat, salinity, water stress & traffic. Creeping bentgrass is bright green and often used on golf courses. It can be mowed very short. It requires a lot of nitrogen fertilizer & needs very frequent watering; it is considered a high-maintenance grass and thus not suitable home lawns. Bermudagrass – Common and Hybrid. Both varieties are drought tolerant and suited for sunny conditions. Common bermudagrass is medium, coarse-textured gray green in color. It is often over-seeded with Ryegrass in winter. Hybrid varieties will be enhanced with good irrigation practices. Tifgreen & Tifway are hybrid varieties. Tifgreen is a medium green, fine-textured, tough and durable hybrid bermuda turfgrass. It is a low-growing, resilient sod which is highly tolerant to heat, smog and heavy traffic. It is ideal for homes with young children and pets, since it can take normal abuse and quickly recover from damage. This is the most attractive of the bermudas. Tifway is an improved hybrid bermuda with excellent wear tolerance. It is an excellent choice for high traffic areas. With a fine texture, Tifway provides a dense turf capable of handling the stress of professional sports turf and the demands of golf course fairways and tees. Seashore Paspalum grass – is a professional grade warm season sports turf developed for use on sports fields, golf courses and home lawns. It is resilient and heals fast from foot traffic. It is fine textured with deep green color. It is commonly used near coastal areas as it is extremely salt tolerant. It is drought tolerant. Kentucky Bluegrass – is a dense turf with dark green color. It grows best in the cooler months such as fall, winter and spring. It grows slower in summer. It will require more irrigation in summer months. Ryegrass – Annual and Perennial ryegrasses are used for turfgrass. Annual ryegrass is used for overseeding bermudagrass in the winter. It dies in late spring/early summer. Perennial ryegrass is generally seeded in fall and has a uniform green color. St. Augustine grass – thick and resilient. It normally grows in the South and is fairly high maintenance. It is a warm season grass that is coarse with a broad blade. It is aggressive and low growing and shade tolerant. It is drought tolerant and can handle saline conditions. Tall Fescue – very tolerant of fluctuating temperatures and foot traffic. It is often used in places like playgrounds because it stands up well under heavy traffic. It is very common in cooler climate areas and does well in Southern California. Requires more irrigation during warmer months. Dwarf Fescue – is shorter than tall “hence the name” and is dark green in color. It can establish faster than tall fescue and requires less mowing. It does not stand up to foot traffic as well as tall fescue, but can establish more quickly. It is a cool season grass as well, but will do fine in warmer months if irrigated properly. Zoysiagrass – good for weedy lawns because it is low maintenance and its roots predominate over roots of other plants in its area. It is medium textured, dark green in color. It turns brown in winter. It is an attractive grass that is uniform and dense that requires less fertilization than bermudagrass. It requires infrequent irrigation as it is moderately rooted. Unfortunately – there’s also crabgrass. Although we don’t plant it, it seems to pop up everywhere.